It’s been a long time since the switch happened, but you still hear rumblings about it. Although these days, those rumblings are happening on Hangouts – how’s that for irony? What are we waiting for? Let’s create a group conversation on Hangouts! Psst, you can also do all of this from both within Gmail and from Shift. Note: If you already have people added to your contacts, you don’t have to input their email addresses – just click their names. There are TWO ways you can do this – both easy, both catering to personal preferences. We’re sure you have your reasons, so we won’t ask you why. Wasn’t that almost too easy? 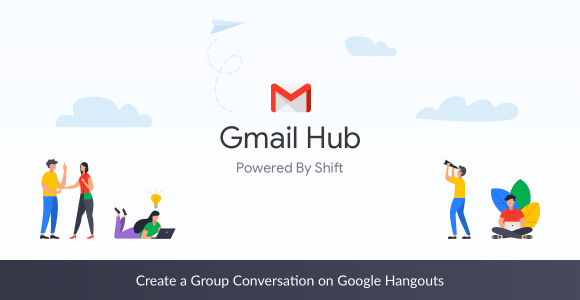 Try planning your next games night via Google Hangouts in Shift!